Piña coladas are the ultimate vacation drink. And by vacation, I mean the weekend. Like this weekend. Like right now. I made this batch of sugar free strawberry piña coladas and I’m sipping as I write. It has rum in it and I’m starting to feel the rum, just a bit. Thank goodness for spell check. I remember the first time I ever had a strawberry piña colada. They are also called Lava Flows, by the way, but I think that only applies in Hawaii. Anyhoo, back to my first time… It was in Vegas. So typically, if one refers to first times in Vegas…it’s either good or bad. This one was good. I had one of those really tall cups. Like really tall. It might have resembled the Statue of Liberty. I can’t recall. But it was good. The piña colada was amazing, but the strawberry took it up a notch. THIS POST CONTAIN AFFILIATE LINKS MEANING IF YOU CLICK ON ONE AND MAKE A PURCHASE, THIS BLOG MAY RECEIVE COMPENSATION, AT NO ADDITIONAL COST TO YOU. PLEASE SEE THE POLICY PAGE FOR FULL DISCLOSURE. ADDITIONALLY, THIS BLOG RECEIVED PR SAMPLES OF PRODUCT TO USE IN THIS POST. 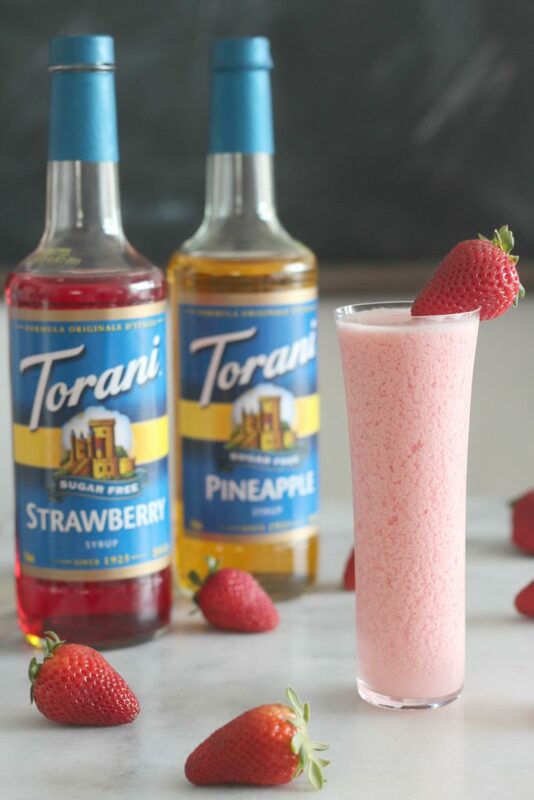 To keep this drink low in sugar and extra carbs, I skipped the pineapple juice and handfuls of strawberries and used Torani Sugar Free Pineapple and Torani Sugar Free Strawberry Syrups. They both added great flavor and just a hint of sweetness without being overpowering. To get the creamy coconut taste, I grabbed a can of coconut cream in the Asian food section at the market. Be sure get coconut cream and not cream of coconut, since the latter is sweetened and you don’t want that! Oh and you will love this Sugar Free Sparkling Raspberry Basil Cocktail too! 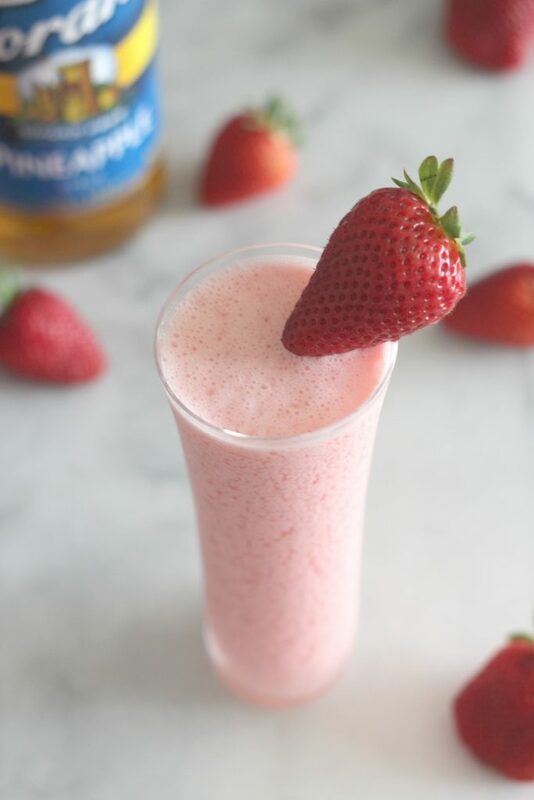 So this recipe is for a batch of sugar free strawberry piña colada, or about six drinks. As always, drink responsibly. Also, skip the rum for a tasty drink that the whole family can enjoy! Need the Torani Sugar Free Syrups? From now until April 30th at Midnight PDT, you can order from torani.com and receive FREE SHIPPING + 15% OFF using my unique coupon code Sparkle15. The free shipping is on orders up to $300! Typically, you have to spend $59 to get free shipping, so this is a VERY GOOD DEAL! Blend ingredients together until ice is crushed and drink is frothy. Serve immediately. Feeling like the strawberry might be too much? Just leave it out then… We all love the original piña colada! I wanna get sloppy drunk with you! This looks delicious!! We are always looking for new drinks to make at my family’s annual beach vacation over the summer, and I think this will be the one for this year. 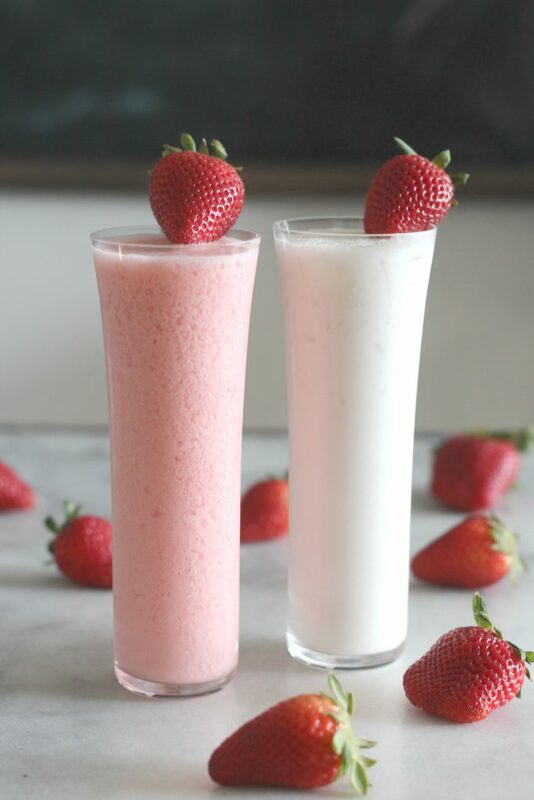 We all like strawberry and pina coladas so it sounds perfect! Yummy, this Piña coladas look so tasty. I really like anything with strawberries. 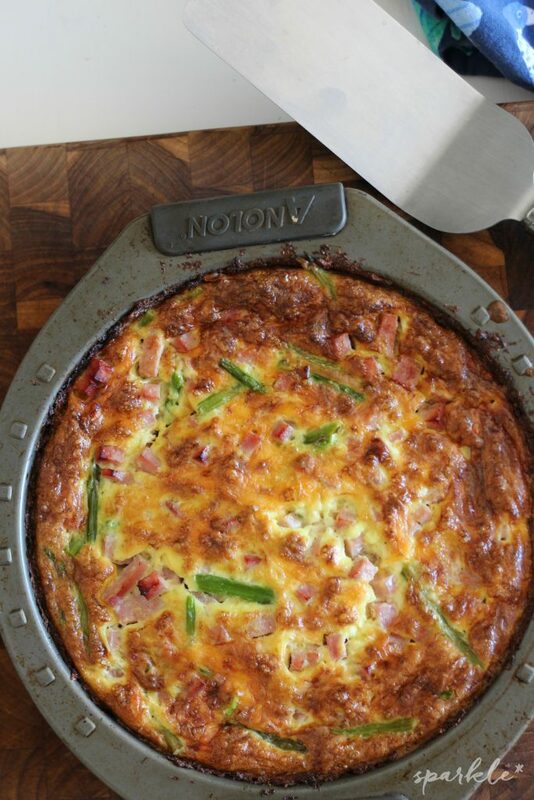 I definitely need to try this recipe next time my friends come over. Can you believe I’ve never had a pina colada before? I need to try this beverage for myself – especially since it’s sugar-free! I love sugar free yummy-ness. xoxoxo!!! Oh my goodness, this looks so yummy! I need to make this drink this summer!! 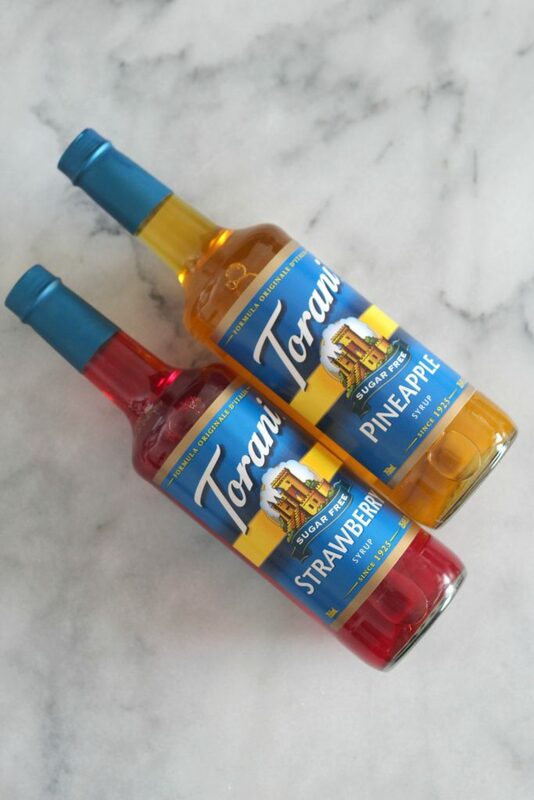 I love Torani syrups – I bet these are delicious! All these strawberry treats are making me crave summer! Thanks for sharing at the What’s for Dinner party! I have seen so many recipes using Torani. This sounds really delicious! Thanks for sharing at Fiesta Friday party! Pina Colada is one of my favorite cocktails. Sugar Free makes it even better. Thanks for sharing on Sunday’s Best. That looks delicious! 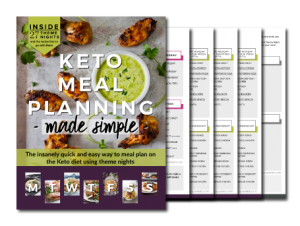 Pinned to give a try! Thanks for sharing at Let’s Party! Yum! I am so excited at the prospect of this, it sounds creamy and delicious!